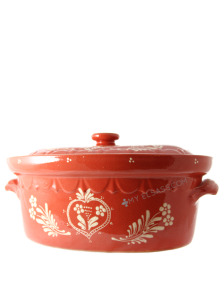 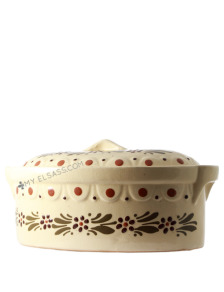 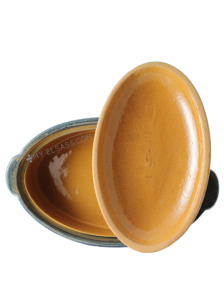 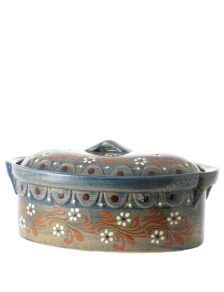 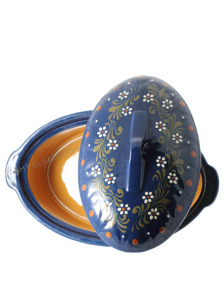 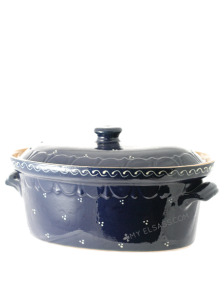 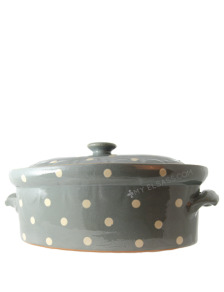 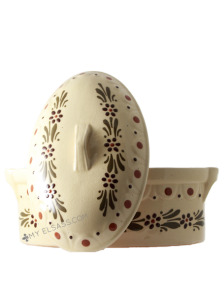 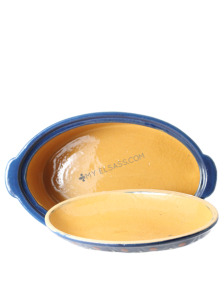 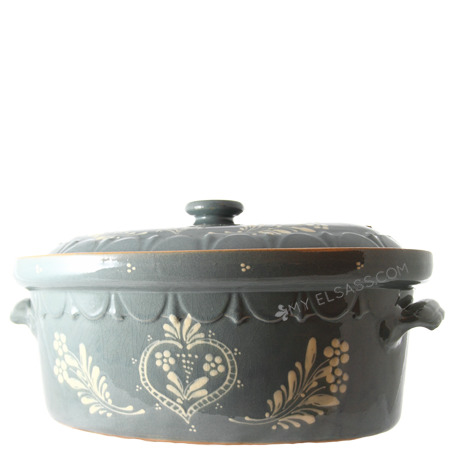 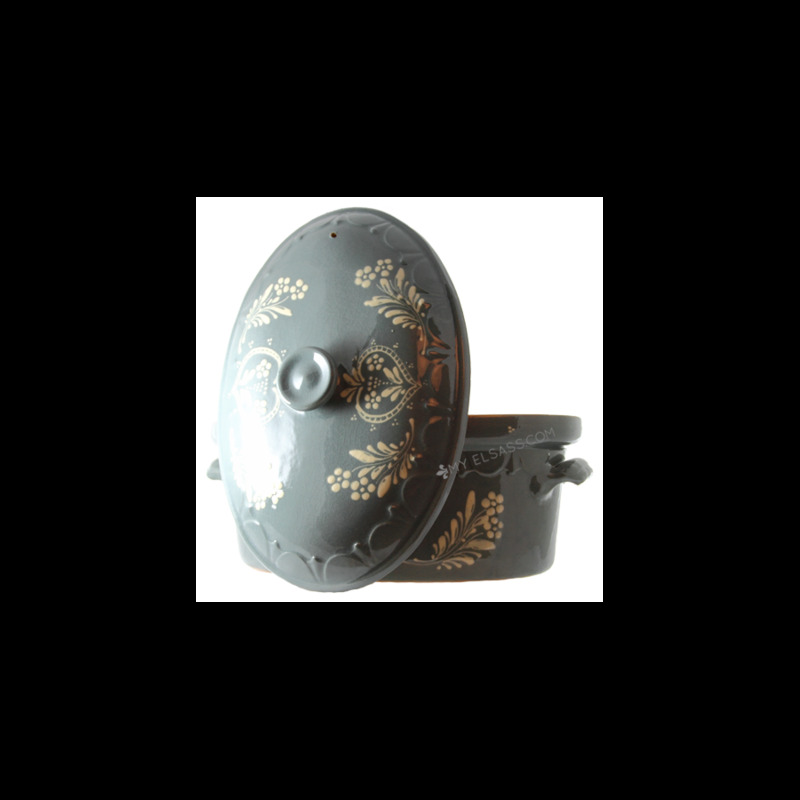 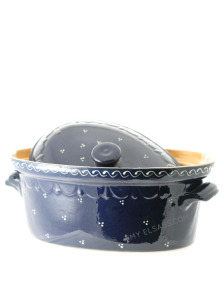 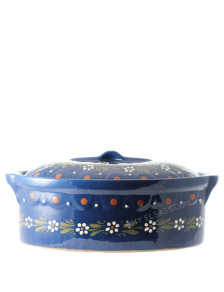 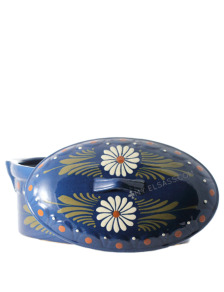 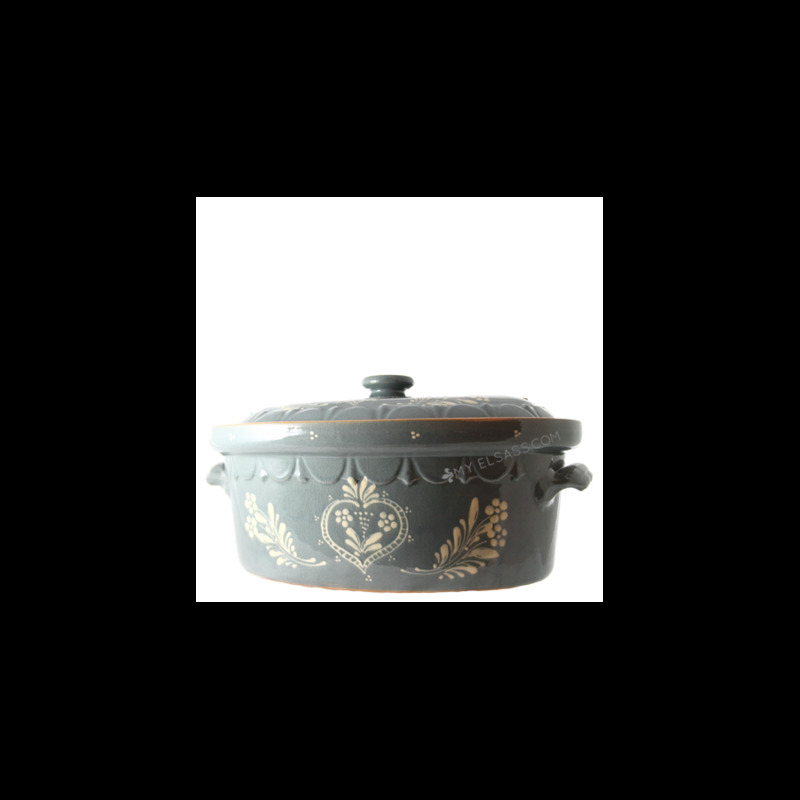 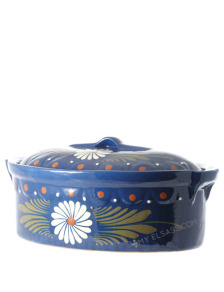 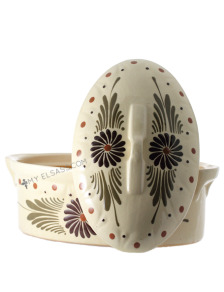 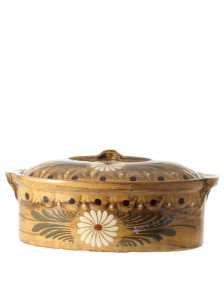 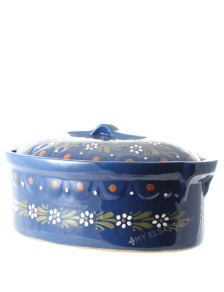 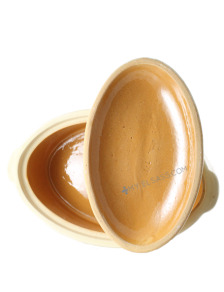 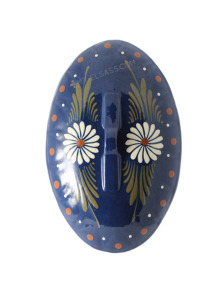 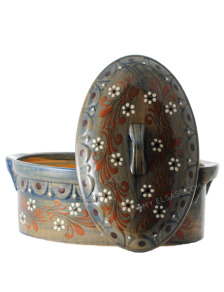 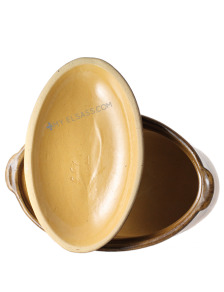 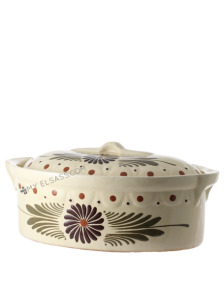 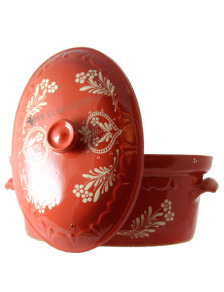 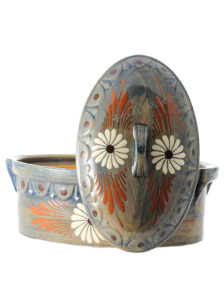 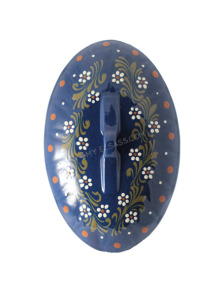 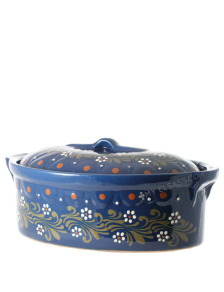 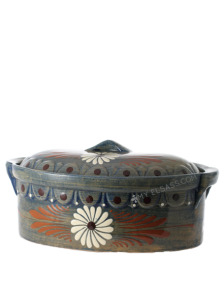 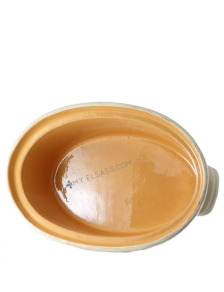 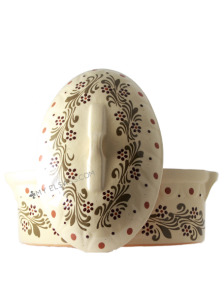 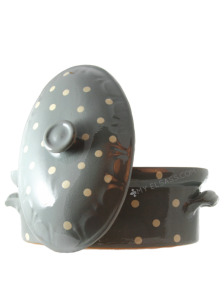 That marvellous Baeckeoffe terrine or casserole has been handmade by a famous french potter in Soufflenheim, Alsace. 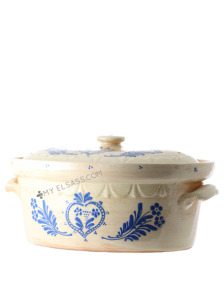 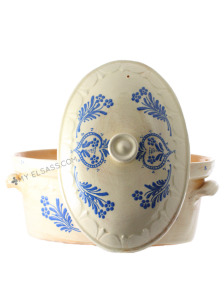 XXL baeckeoffe terrine "sky blue"
Size: ca. 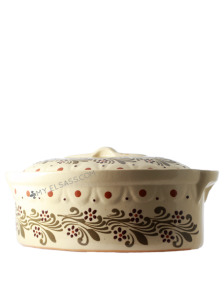 46 x 30 x 22 cm (serves 10+), 7,5L.